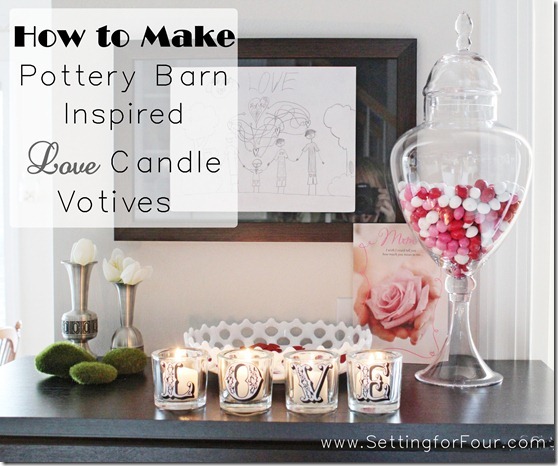 How to make Pottery Barn Knock Off Love Votive Candles. 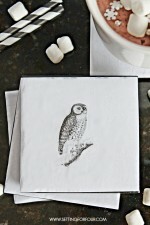 Not only are these adorable for your own home but they a great gift idea! 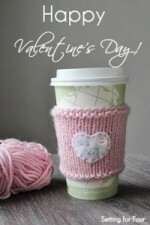 They are such an easy craft to make and very inexpensive. And I love the typography! 1 sheet of white printer paper to print off the L,O,V, E letters. I used a Victorian font called JFAutumnFair size 10 in a Word document . You can upload this free font and others from Fontsy. You could also choose a different colour of printer paper (beige, pink) or a different font. Step one: In a word document type the letters L,O,V and E using font JFAUtumnFair size 10. Print and cut them out. 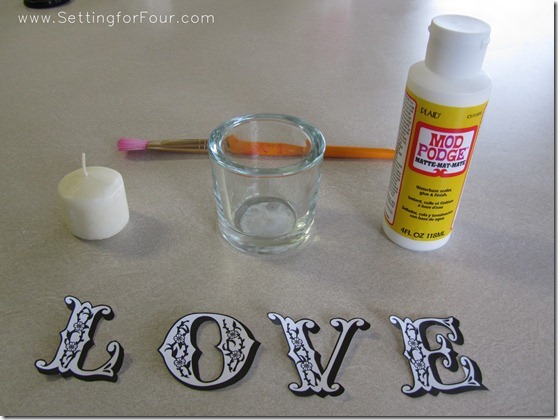 Step two: With the small paint brush apply Mod Podge to the back of each letter and place it on the votive, centering it as best as possible. Step three: Apply Mod Podge to the top of each letter. Let dry. Step four: There will be excess Mod Podge on the glass around the letters; you can see it in the pic below. 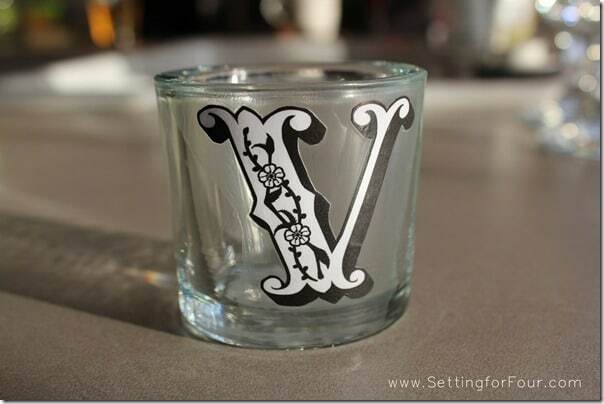 Using the straight pin, scrape this excess Mod Podge off the votive holder to give it a cleaner look. The Mod Podge will just flake off. 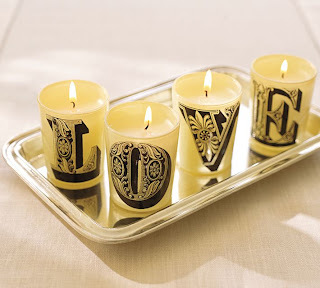 Step five: Place a candle into each votive. That’s it!! So easy!These four votives only cost me $12.49! Much cheaper than the $ 39.00 price tag at PB and I think they look so similar too! 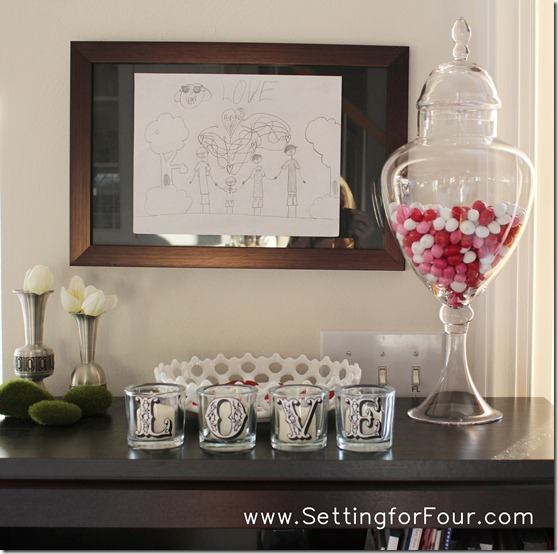 They are a terrific way to decorate your home for Valentines Day without being too themey (is that a real word??) 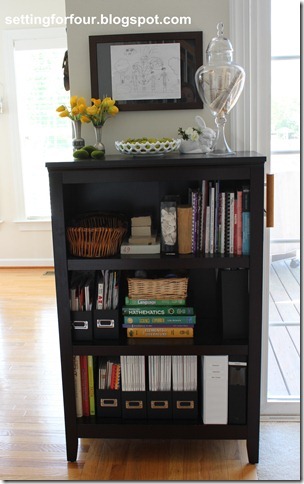 and will continue to fit into your decor throughout the year.I have mine on our Bookcase Family Organizer in the kitchen. I love this idea Heather! The possibilities are endless! Thanks for stopping by my blog. I’ll keep your suggestions in mind for my frame wall. It’s a work in progress, like everything else in my house! Lunch with the design friend was great. She’s an accredited designer and a big advocate for getting the education…being a designer rather than a “decorator.” Apparently there’s legislation in 12 states preventing folks from calling themselves a designer if they’re not educated and accredited. Who knew? Anyway, I thirst for the knowledge and want to know as much as I can about the history of design and the logistics of running a business and sourcing and organizing and presenting and all that comes with being a designer. It’ll be a slow process, since my priority is spending most of my time at home with the babe, but it will come eventually. Wow – sounds like your lunch date went very well!! So great for you that you know someone in the business – it makes it so much easier to navigate a new career. Take your time with your little one, I stayed at home with both my boys and don’t regret it for a minute. They grow up so fast. You’ll know when it feels ‘right’ to go back to ‘work’ fulltime. You’re welcome!! Please send me pictures of how your votives turn out with your Silouette!! Wish I had one!! Have fun at Fontsy.com – there are so many great fonts there! loving these knock off candles!!! So glad you like them Katie!! These are adorable. Great tip on Fontsy–hadn’t heard of that site before. Thanks for linking up to Share the Love Wednesday! Stopping back to say that you are featured on Share the Love Wednesday this week! Grab a feature button! 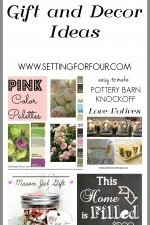 Thanks again for this fab linkup! 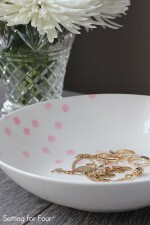 That’s great news Mary – Thanks for featuring my DIY!! That’s so exciting! 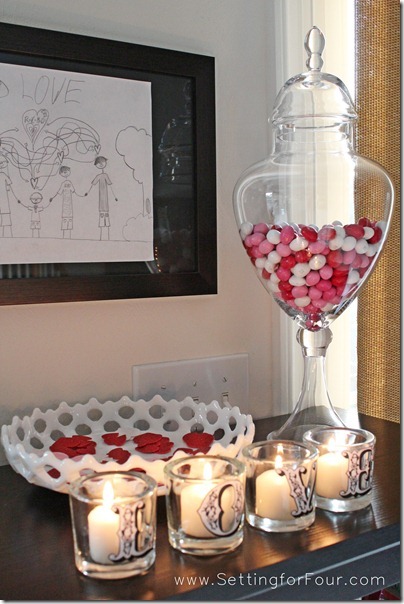 Hmmm… I’ve been thinking about doing something similar with an ikea candle I just got. Yours look great! Hi Cynthia – thanks for following me and your sweet comments. LUV Ikea!!! There are a lot of free fonts on the web especially at Fontsy, it can be hard to choose! Have a great weekend! How cute are those? Your little candle holders turned out great!! Oh my cuteness, Heather! Absolutely adore them!!! Heather!!!! 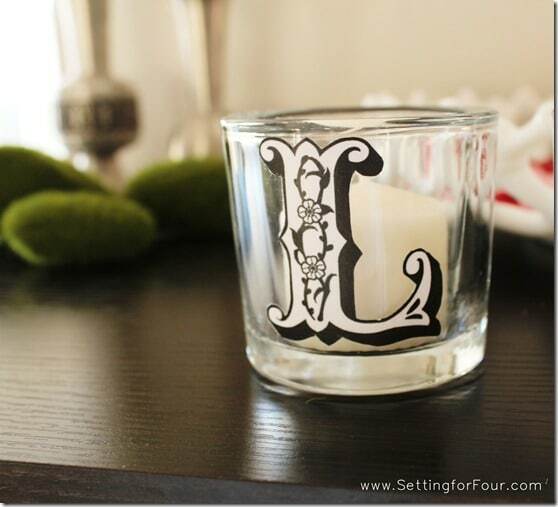 Yours are a dead ringer for the Pottery Barn votives….I actually like yours better. You go girl! What a great knock-off girl! Super cute! Love the typography! Excellent hack!